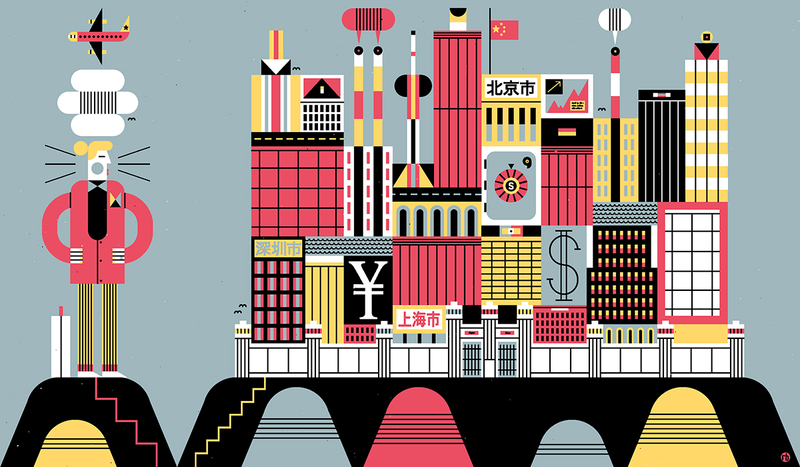 Inside the fraught race to manage China’s money. But entry into the China market — on- or offshore — takes deep pockets. Only large Western financial players have the combination of investment banking and wealth management prowess to service Chinese and other Asian UHNW clients. Besides UBS, the A-list includes its Swiss rival Credit Suisse Group, now the second-leading wealth manager in Asia. A few U.S. banks qualify: Citigroup, JPMorgan Chase, and Morgan Stanley. Goldman Sachs Group, a rising force in Asian wealth management, may be slowed by criminal charges and possibly huge fines linked to its involvement in the multibillion-dollar 1Malaysia Development Berhad (1MDB) scandal in Malaysia. Goldman did not respond to multiple requests for comment. No foreign wealth manager has shown more determination than UBS to crack the China market. In 2016, the bank announced a doubling of its personnel in China by 2021 — and then reached that target in 2018. It became the first foreign bank given approval to hold a majority stake in a securities joint venture in China that same year. In the meantime, Western banks have been forced to nibble on China’s periphery with offshore booking centers in Hong Kong and Singapore. Profits are rising on offshore Chinese assets — and at a faster clip than in any other wealth management market. But $4 out of every $5 invested by wealthy Chinese remains on the mainland, either in companies owned by their founders or in financial products peddled by local wealth managers. Switzerland’s two big banks lead in offshore Asian wealth management partly because of their past troubles elsewhere. UBS and Credit Suisse almost forfeited their operating licenses in the U.S. and several EU countries for abetting tax evaders on both sides of the Atlantic with secret bank accounts in Switzerland. Of the two banks, UBS had more dire financial straits. Not content with its sterling reputation for wealth management, UBS longed to be an investment bank on the scale of Goldman Sachs. In 2008, it ran up Sf21.3 billion ($24 billion at the time) in losses on U.S. subprime securities and needed a Sf43 billion Swiss taxpayer bailout. When Ermotti, now 58, was named UBS chief executive in 2011, analysts and investors initially viewed him as just an interim appointment — the best the board could get given UBS’s battered reputation. Ermotti was known as a skilled investment banker (a post he last held at Italy’s UniCredit) who knew little about wealth management. Following U.S. and EU attacks on Swiss banking secrecy, the wealth management division struggled to keep American and Western European clients. But on Ermotti’s watch, UBS wealth management has reached the No. 1 spot in Asia, Europe, and emerging markets — and a respectable fourth in the U.S. In all, it manages a whopping $2.26 trillion worldwide. “Sergio has done a terrific job in turning around UBS,” says Davide Serra, London-based head of Algebris Investments, a hedge fund focused on the financial sector. The key to UBS’s turnaround was Ermotti’s decision, within months of becoming CEO, to shrink the investment bank and use it to support wealth management operations. The investment bank isn’t allowed to exceed one-third of UBS’s risk-weighted assets. Last year, investment banking accounted for less than 30 percent of UBS’s pretax profits, while wealth management generated more than 60 percent. But client capital seems to rise and fall like ocean tides. In the third quarter of 2018, net inflows hit an impressive $13.5 billion. Then in the last quarter, flows reversed. Clients pulled out nearly $8 billion net. Especially the ultra-wealthy ones, he might add. Ermotti seized on a formula in Asian wealth management: Woo entrepreneurs with early-stage financing for their startups, help them to IPOs, and then manage those personal fortunes, including via family offices. This playbook isn’t exclusive to UBS. “Today, all major Western banks operating in Asia are much more focused on UHNW clients,” says Kinner Lakhani, London-based head of research for Deutsche Bank. Wealth management is one of the most fragmented financial services, with some 35 banks holding a combined 50 percent global market share. It makes sense to focus on the top end of the wealth pyramid, where certain banks hold an advantage. Only a sizeable investment bank can lure UHNW clients through loans and a variety of financial products unavailable to mere HNW wealth management customers. JPMorgan Chase uses its investment bank to target the $100-million-plus Asian client. Citigroup has a “mega-wealth” team aimed at customers with financial assets above $250 million. Goldman Sachs has the most productive Asia-based private bankers, with each relationship manager overseeing almost $1 billion in HNW client assets, on average, according to Asian Private Banker’s 2017 figures. Their counterparts at UBS averaged just $369 million. But the Swiss bank’s $383 billion in Asian assets under management was more than four times the Goldman Sachs total. In the months or years ahead, Goldman must cope with fallout from its involvement in the misappropriation of billions of dollars from 1MDB, the Malaysian development fund. In 2012 and 2013, Goldman arranged $6.5 billion in bonds for 1MDB, of which $2.7 billion was allegedly stolen by cronies of then-Malaysian prime minister Najib Razak. Goldman collected $600 million in fees, according to The New York Times. The Malaysian government has filed criminal charges against Goldman. And the U.S. Justice Department and various Asian and European authorities have launched investigations into 1MDB. In August, Tim Leissner, Goldman’s former chairman of Southeast Asia, pleaded guilty to bribery and money laundering charges in connection with the 1MDB bond deals. The fiasco could end up costing Goldman billions of dollars in penalties. The Malaysian government is seeking $7.5 billion in damages from the bank, which recently set aside $516 million to cover potential damages, including those related to 1MDB. According to some bank analysts, the scandal threatens to damage Goldman’s reputation and could slow its growth in the region. For now, UBS has less to fear from the big American banks than from its crosstown rival in Zurich. Credit Suisse has emerged recently as UBS’s staunchest competitor in Asia. The smaller Swiss lender has racked up more than $200 billion in managed assets across the region. Credit Suisse successfully combined investment banking and wealth management services to snare the largest Chinese client of them all: e-commerce giant Alibaba. In 2012, it helped the company raise $8 billion in private financing, and bought a $50 million convertible bond as part of the deal. Alibaba picked Credit Suisse as one of six banks to manage its record-setting $25 billion IPO in 2014. The convertible bond turned out to be much more valuable than $50 million in IPO fees. Purchased when Alibaba was valued at $45 billion, the bond converted to an equity stake after Alibaba went public. Credit Suisse declined to say if it has held on to all or part of that stake, now worth more than $450 million. The investment bank’s relationship with Alibaba became a windfall for Credit Suisse wealth management. Scores of Alibaba’s so-called “gold-collar” executives — each owning multimillion-dollar stakes in their employer — have signed up with foreign wealth managers, among them Credit Suisse. UBS can’t point to such a high-profile relationship of its own. But it runs the most streamlined and effective offshore wealth management operations in Asia. In 2018, Asia generated more than two-thirds of the total $24.7 billion in net new money inflows into UBS wealth management. And offshore Chinese clients alone accounted for an estimated $11 billion of those inflows. The region’s business is almost equally divided between Hong Kong and Singapore. “Hong Kong is more a magnet for capital markets,” says Edmund Koh, president of UBS Asia Pacific. “And asset management is clearly stronger in Singapore.” Wealthy mainland clients funnel assets into both places. They increasingly send their children to schools in Mandarin-speaking Singapore, which is considered more international than Cantonese-speaking Hong Kong. Singapore is also viewed as more politically reliable than Hong Kong, where pressure to conform to Beijing’s authority is mounting. UBS and other Western wealth managers are nowhere near achieving the critical mass needed to compete against the Industrial and Commercial Bank of China and other mammoth domestic banks, which dominate wealth management. And with only a handful of pure-play Chinese wealth managers around, foreign firms can’t acquire their way to critical mass. “Foreign wealth managers are scratching their heads on the onshore China opportunity, which requires significant investment to break into without any certainty of a payback,” says Deutsche Bank’s Lakhani. Few foreign firms would be willing to match the most popular Chinese wealth management products, which typically offer a fixed rate of return, a set maturity date, and guarantees on principal. Beijing recently moved to cut back these products, which have already reached $4.35 trillion outstanding. In the meantime, UBS’s presence in China is confined to asset management and securities. Onshore China is expected to contribute little, if anything, to its bottom line. Family offices have become an essential part of the UBS wealth management strategy. According to the bank’s surveys, Europe and the U.S. each have twice the number of family offices as Asia does, where they are a more recent phenomenon. Most Asian family offices still belong to the family patriarch — usually an entrepreneur who commingles his personal wealth management with corporate financial operations. As a result, the company’s chief financial officer often runs it instead of a professional wealth manager. “That will change as wealth shifts from the first to the second generation,” Koh predicts. Will a more sophisticated generation of super-rich Chinese continue to favor Swiss wealth managers over their larger, flusher U.S. rivals? American banks benefit from their enormous base of retail clients, who bring down funding costs and help improve operating leverage. But with a tiny home market of 8.5 million Swiss, neither UBS nor Credit Suisse will ever generate the retail banking revenue to offset the higher costs of their investment banking and wealth management operations. Little wonder that the cost-income ratio last year at both Swiss banks was above 78 percent, compared to JPMorgan’s 58 percent. During buoyant markets, revenue growth and costs remained relatively flat at UBS. 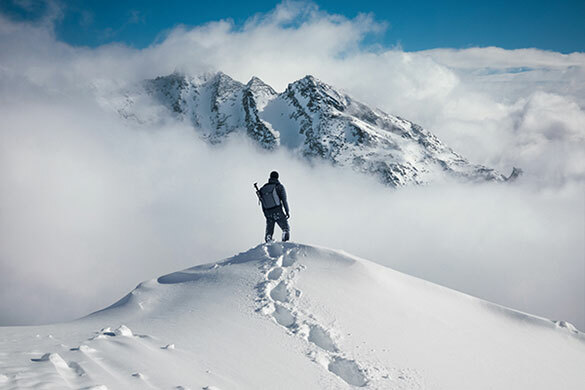 “Investors have to ask themselves: If UBS isn’t improving its operating leverage when markets go up, what can we expect when markets come down?” says Andreas Venditti, Zurich-based head of banks research for Swiss investment bank Vontobel. But Blessing missed one main world market: onshore China.